A pause from the fashion trends, I decided to start a new trend. A sweet tooth, sugar rush, choco-holic kind of trend! After a year of feeling stressed, it was time to more than just “turn that frown upside down”, its time to start reading and spelling backwards. 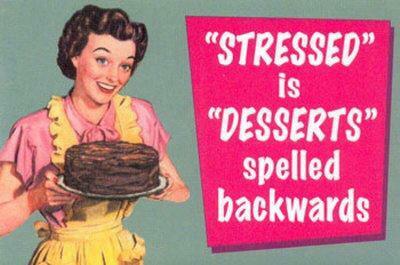 Did you know “desserts” is “stressed” spelt backwards. OOH YHH. With this said, a few weeks ago I hosted my first dessert party. Full of cake, tarts, sugar topped ramekins and yep, more cake; it was a diabetic coma waiting to happen. As nice as all the desserts were, it was defiantly one of those days. A right -off (from diet) kinda day. Try fitting into a slim fit LBD, crop top or any summer-time-fine body cons now!